I've got this material in 2 other forms, on 2 Bootleg LP's (Syd Barrett... Laughing, Pink Floyd Complete BBC Sessions, and on a cassette entitled BBC 1967-1969), and think it should be required listening for SpaceRock/Psychedelic/HeadCore fans, as this material is arguably some of the most innovative Rock made in the period. The CD issue of this bootleg sounds like it was taken from the "Complete Sessions" Bootleg LP, but the June 1969 sessions are omitted. The overall sound is quite clean, with just a little EQ above 16Khz required to reduce some of the hiss. Also, the BBC announcer was removed. Tracks 1-3 are from 9/30/67, and one gets a full dose of Syd, playing some rather serious (and competent) guitar. Likewise, he also appears on tracks 4 & 5 (12/19/67, but recorded sometime in November according to Miles' "Pink Floyd: A Visual History") hitting some real peaks. The rest of the band is completely in tune with each other, in high spirits while making some of Rock Music's most innovative sounds! Unfortunately, these are incomplete, tracks probably omitted because of poor quality or distortion (check the LP versions of these sessions). Still, it is a joy to hear Syd's songs, and the innocence and earnestness with which he delivers can spark nice memories in those old enough to remember him and his music! The input of Richard Wright also reeks of innovation. His '67-'68 sound ( Farfisa Organ fed into Wha Wah pedal, Fuzzbox and Binson Echo-Rec.) is devastating. When he incorporated the Hammond, more colors were projected by Wright's careful use of the Hammond's voices, and his fast-to-slow Leslie sound has been much imitated in Progressive Rock. The 6/25/68 tracks (6-10) feature Dave Gilmour, by this time his voice and guitar are fully integrated into the band, bringing in a harder but more conventional edge, both vocally and instrumentally. The standout here is "Saucerful of Secrets" (tracks 8 & 9). So many of our SpaceRock favorites (Tangerine Dream, Can, Amon Düül, Hawkwind) can trace the genesis of their sound to this stuff. Here they play a radio friendly version of the tune (which would eventually grow to over 25'). Inspiring stuff, but again one wishes for the entire broadcast. The 1/14/69 Broadcast begins with "Baby Blue Shuffle", and consists of tunes the Floyd would play in their live shows until 1973. "Green is the Color/Careful With That Axe, Eugene" are tracks to get lost in. It would do well for some of our SpaceRock brethren to study the Rhythm section of Roger Waters and Nick Mason! Their use of straight fours, plus Rogers' accenting the Basslines by hitting octaves expand the sound of the band sonically, whilst adding harmonic variation to rather mundane chords dragged Rock music screaming into the 1970's, which was the band's most creative period. It's ironic to note that these attributes also proved to doom the band musically as evidenced until the release of the "Animals" LP in 1977! The package and production of this CD is very much a homebrew product, and I was able to get it at a used CD store for a very reasonable price (1/2 of what I used to get bootleg LP's for! ), and is an indication that these days all one needs is access to a computer, CD burner, and the source material to take endruns around those who control the Music-industrial Complex, giving fans the Live material deemed "not Appropriate for release" so many of us want to hear. In many ways the unsung father of "New Age" (New wage?) music, Klaus Schulze's heaviest impact in the 1970's was as a live performer who toured throughout Europe. His live shows consisted of constructions and improvisation played on a variety of Analog Synthesizer and Keyboard equipment. Along with Edgar Froese and Manuel Göttsching, Schulze was a founder of the "Berlin" School of Electronic Music in the 70's. The main characteristics of this school was the use of layered Synthesizers and heavily rhythmic Sequencers, suspended chords from various Keyboards over which instruments solo. Extreme amounts of chromaticism, modality and improvisation are often employed as compositional materials. In 1980, Klaus Schulze released his first live LP, recorded during tours in 1976, 1977 and 1979. The tracks were sidelong affairs, which stretched the limits of micro-groove record technology by coming in around 30 minutes a side! The CD release actually extends the longest side, and the sound quality of the release is fantastic. "Bellistique" opens the date in signature fashion, layer after layer of sequencer drive the tune forwards, chords and drones are suspended on polyphonic Keyboards, and Klaus takes a hot solo over the top. The rhythm cools somewhat, and Klaus hits some atonal hits on the PolyMoog. "The original release of "Sense" on LP was only 30 minutes. The complete track, which features ex-Wallenstein Drummer Harald Groskopf, is over 50 minutes and maintains interest throughout. Sections of the original composition appear on the "MoonDawn" LP. The piece gets started with Farfisa "Syntorchestra" Strings and voices, punctuated by occasional bursts of Sequencer, White noise oceans and thunder. A full sequencer rhythm develops, and drums enter the fray. Groskofp refrains from banging out a virtuosic show, opting instead to mark the downbeat with bassdrum, and carry the time on his ride cymbal and snare. The improvisation gets more involved, and a variety of Synthesizers make both background sounds, play counterpoint sequences, and solo statements are heard as the drums dance away underneath. The listener is taken even deeper into the improv, as both instruments compliment each other, washed over by a halo of filter sweeps and modulated low pitched atonal sounds. Klaus creates his whirlpool of sound with great subtlety and grace, not trying to show "flash chops", playing as an equal in the mix. The tune cycles through its changes, there are dynamic shifts, Rhythmic variation and general Spaciness. "Heart" opens the second CD, and begins around an echoed one Bass ostinado, and Poly-Moog strings, and develops in depth Klaus' sound as a solo performer. He begins with simple motifs, layering on Sequencer Patterns, and thick sweeping String sounds. Lead voices arise, and this segues into a forceful rhythm programmed on Klaus custom Drum Computer, the clock speed of which is controlling some of the sequencers. As the groove changes direction, the basic "rock" rhythms are emphasized, yet the drum machine is steadying, not static, and never intrusive. It's tracks like this that have made the entirety of Klaus' legion of New Age (New wage?) imitators sound weak and lame. "Dymagic" is a duet with SpaceRock legend Arthur Brown. The man wheezes, wails, does his mock opera and screaming Jay Hawkins stuff, and is immensely entertaining, although he's a bit much on repeated listening. Those familiar with Klaus' LP "Dune" know the musical format. Klaus does his thing, yet never steps on the vocals, some of which he processes. There's some lovely work on the Farfisa "Syntorchestra", and Korg PS 3100, and nice lead stuff on one of his pair of Mini-Moogs. It IS curious, however, that this track is listed as being 31 minutes on CD, but is clocked at 29'15 on the CD. Nothing's missing, so what gives? There are some pluses, and a few minuses regarding this reissue. Firstly, the sound quality is excellent. Finally the Bass tones can be heard. When issued, the record stretched the limits of Micro-groove technology, sides all over 20 minutes, a couple over 30'. What was sacrificed to get that much info on was Bass, which was equalized out to use less space in the record's grooves (Bass tones can eat large amounts of space on records, as the low tones are large waveforms)? What really eats, though, is the package. The poster and most of the inside gatefold photos are missing, which is a gigantic loss. I can understand how that could be eliminated, but there should have been a listing of Klaus Schulze's equipment, or itinerary, something to eat much of the booklet's wasted space. In the case of this CD, I paid less for it ($24.00 in 1998) than the original double LP ($30.00 in 1980) so I can live without the extras. The thing is an excellent starting place if you are unfamiliar with the work this pioneer of Electronic Music. The CD has been available in indie recordshops, and sometimes at chains like Tower Records. SpaceRock fans don't miss it! Although engaged in since the beginning of recording music, the art of Bootlegging really hit its stride in the 1970's. Bands were getting exposure via expanded opportunities (arenas and other venues open to music) to appear throughout the US, FM radio presented a large number and variety of live broadcasts, recording technology both improved and became more available to the masses of music fans, and much of the rebellious spirit of the previous decade (which is what made for the explosiveness of Rock music as a commercial/cultural force in society) was still prevalent amongst those who appreciated and cherished the music known as "Rock". In the progressive genre, the work of King Crimson as a live touring group was always fair game for bootleggers. This reviewer engaged in the practice of recording Crimson numerous times, often openly in some of the larger venues at which Crimson appeared when gigging in NYC. Those Live recordings were often traded amongst KC fans, and a number showed up as Bootleg LP's on such underground labels as TAKRL, GRAND ISLAND, and KC and NEU in Europe, despite founder Robert Fripp's disgust and animosity towards recordists (I was once verbally thrashed by him for attempting to record a "Frippertronics show!) and those "White Label Folks" (i.e., Bootleggers). By the 1990's, even more material became accessible as the price of making CD's dropped, and much of the music had fallen out of favor with those who control the music/industry complex, so there was less an industry interest in pursuing the makers of illegal recordings. The rise in interest in the 1970's music made by King Crimson reached a high point in 1994 when Fripp, in order to counter the 125 CD bootlegs, issued his Boxset of Live Recordings, "The Great Deceiver". Despite this, there continues to be an interest in bootleg Crimson material. These five titles were issued between 1995 and 1998, all in the US, 3 of the 5 covering the tours taken in Spring 1973 & Spring 1974, the other two document important periods of the band's development as a live act. "Ultimate Rarities" opens the door on King Crimson as an experimental quintet, the Wetton/Bruford/Cross/Fripp unit being augmented by drummer/percussionist Jaime Muir, who was quite known within the circle of UK Improvisers, and for his work with the Music Improvisation Co., and his band Boris (formed with Guitarist Gerry Fitzgerald and Violinist Philip Wachsman). 11/25/72 was taken during the first UK tour after the restructuring of the group during Summer 1972, and highlighted the band running through a number of different motifs, some of which eventually became formalized as songs. Muir's input is crucial, as the music progresses from structure to Free Improvisation. As a unit, the influence of Miles Davis is very apparent, much of it coming from the ostinados played by Wetton's exquisitely Fat BassGuitar sound, and the chattering interplay of the two drummers. As well, the Mellotron is used extremely effectively, and Fripp and Cross seem inspired to go much further in their solos than would be the case when the group reverted to a quartet. Most of this show is presented here (although there is much more music on the bootleg cassette of the show I've obtained. The 10/17/72 cut is an excerpt of the Bremen Beat Club TV show. The rest of the set being the bulk of "Ultimate Rarities" (Volume 1), which I have been unable to obtain. "Strange Tales of the Sailor's" displays the "Islands" band, and reveals why this band was headed for destruction. Primarily, both Boz and Ian Wallace lack musical ability, and don't seem to get Fripp's concepts of how the music should develop. A live broadcast on KFML Radio 3/13/72, which would be a remarkable occasion in today's climate of corporate-controlled broadcasting, where nothing is offered for free, and bands often haven't the ability to play their music live. The band plays through a number of tunes from the first two LP's, nearly falling apart or playing the arrangements extremely poorly. There is some tomfoolery to mask the band's tuning, but this CD often suffers from distorted sound. Included is a bonus track by Peter Gabriel, recorded at his NYC debut in 1977, and featuring Fripp's buzzsaw solo (at this show he played behind a curtain offstage). Next up is "Fracture", recorded 5/1/74 in the Felt Forum NYC, and although an audience recording, has excellent sound quality. I was at this performance, and can attest to the quality of the sound in the hall (it was Superb, making even my mono tape sound brilliant). The thing starts with a ripping version of "Fracture", Fripp and Cross energized by the monster Rhythm section. The energy is maintained right through to the last cut, the usual throwaway version of "21st Century Schizoid Man", fueled by NYC energy vibes, and a really exquisite, inspired Guitar solo. This was one of this unit's better sets falling into the middle of the band's last US tour. "Lady Supermarket" was recorded three weeks later (6/13/74) in San Francisco. Yet, another audience recording, the tempos drag in spots, as the road sounds as if it was catching up to the band. Yet they still rock hard, displaying skills that most groups still cannot match, but playing the music together. Most notable is a version of "Cat Food", despite David Cross' under-mixed Electric Piano (his Violin solo is understated, but takes the tune in an entirely different direction). As usual, Wetton's Bass work is staggering, and his vocal spots are delivered with few errors (even in the God-awful travesty called "Asia", Wetton is as consistent, he IS a very capable hand). "Fracture, "Lady Super Market" and "Rarities" all seem to originate from the same source, and have similar Matrix and plant ID numbers on them. They are believed to have originated on the West Coast of the US. "Astral Traveling" is from a year earlier (6/16/73), and is one of the many different "Protection Gap" CD's (3/13/72 is one of the others) put out in Europe by Scorpio in the early '90's. The quality is a little smoother, but the show is from a well traded cassette, and is only 50' minutes (on the '73 tour, KC often was an opening band for the likes of JoJo Gunne or Golden Earring once the tour left the East Coast, where they had a solid fan base). The set itself is the usual high standard, although the material is the usual fare, no gems and rare songs ("Dr D was regular in the sets in 1974, but was not released until 1977, on KC's "A Child's Guide" Compilation LP), just the band in full flight, with some Mellotron from both Fripp and Cross defying description, breaking through the jive adolescence of rock music to create some SERIOUS MUSIC. 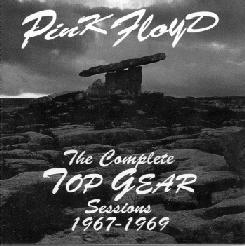 The rest of the CD is made up of two cuts from the legendary BBC set 5/6/69 (since issued by Fripp on the "Epitaph" Boxset, with much better quality than this. One obviously would have liked a better and relevant choice, such as 6/12/73 Don Kirshner's Rock Concert" TV. I was able to purchase all of these CD's in a used CD place on Long Island, and I had some idea of the quality of the sets based on my familiarity with most of the taped sets of this band, which I've been engaged in trading and collecting since 1975. To me, any KC bootleg from this era is worth owning on CD, and with over 125 out there (by Fripp's estimation), the chances of running across some of them in Indie record shops and second-hand stores is large. If you loved the Deceiver boxset, any of these are for you (and if there is an extra copy of "Ultimate Rarities Volume 1, send it to me with the bill, include your postage).